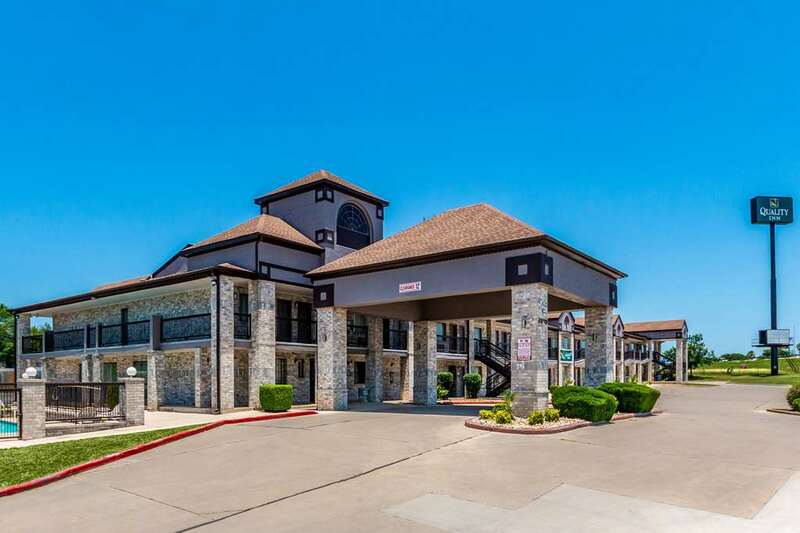 The Quality Inn I-10 East near ATT Center hotel is a great place to get more value in San Antonio. Amenities include free WiFi, free hot breakfast, free parking, a seasonal outdoor pool and free coffee. Guest rooms feature a microwave and refrigerator, in-room safe and flat-screen TV. Our affordable hotel near AT&T Center is located near all the action, making it easy to catch sporting events, concerts and visit downtown attractions including The Alamo, Tower of America, Freeman Coliseum, San Antonio River Walk and Fort Sam Houston Military Base. Earn free nights and gift cards when you join our Choice Privileges Rewards program. No pets allowed.